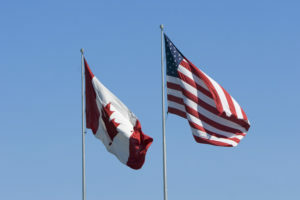 The merged Canadian and U.S. CARSTAR franchise network will use a merged “CARSTAR Way” operations style that derives from roughly half of each country’s existing model, the company said Friday. The new six-pillar program combines the EDGE platform of the U.S. with the CQS format in Canada. “It’s a 50-50 split,” CARSTAR Canadian operations Vice President Colson Cole estimated Friday when asked which country’s model made up the majority of the combined “CARSTAR Way” platform. The more CARSTAR looked at the two sets of best practices, the more items from each country’s format it found to cherry-pick. The platform rests on six pillars divided among “people, process and technology,” according to Cole. They include the EDGE plan, CARSTAR 5S program, CARSTAR Analytics, CARSTAR Solution, and CARSTAR operating procedures. The combination of the two nations’ programs is interesting when one looks at the different industry quarterly data provided by Mitchell. (Remember, if you’re comparing Mitchell’s cost data, don’t forget to factor the exchange rate; $1 Canadian was worth about $0.77 U.S. Monday, according to XE.). Canadian shops tend to work on newer vehicles and have more supplements, for example. “Canadians like to buy new cars,” former Mitchell analyst Greg Horn joked this month at NACE.